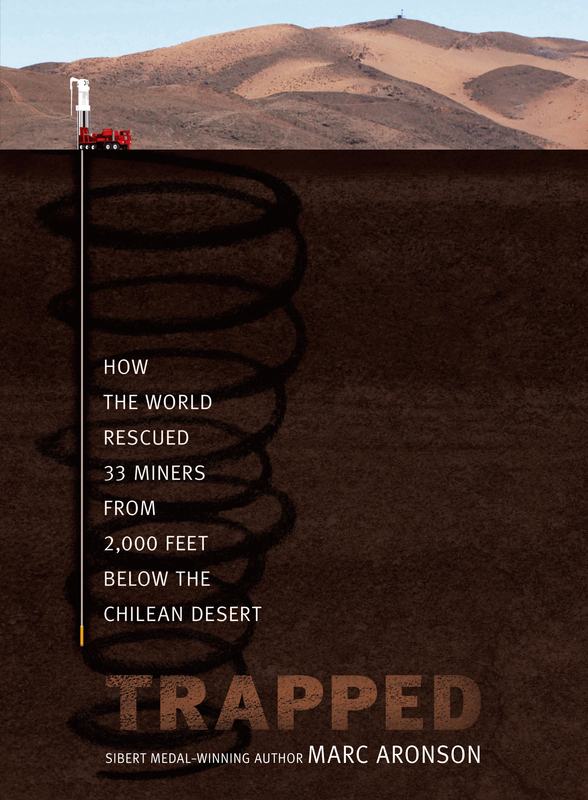 In early August 2010, the unthinkable happened when a mine collapsed in Copiapó, Chile, trapping thirty-three miners 2,000 feet below the surface. For sixty-nine days they lived on meager resources with increasingly poor air quality. When they were finally rescued, the world watched with rapt attention and rejoiced in the amazing spirit and determination of the miners. What could have been a terrible tragedy became an amazing story of survival. In Trapped, Marc Aronson provides the backstory behind the rescue. By tracing the psychological, physical, and environmental factors surrounding the mission, Aronson highlights the amazing technology and helping hands that made it all possible. From the Argentinean soccer players that hoped to raise morale, to NASA volunteering their expertise to come up with a plan, there was no shortage of enterprising spirit when it came to saving lives. Readers will especially appreciate the eight pages of full-color photos, timeline, glossary, notes, and more. Raul Villegas was driving a truck up a ramp … 1,800 feet underground … when he heard the crack and first saw the dust. Villegas was used to hauling rock out of copper mines in northern Chile, so he had often heard the creaks and moans of the angry earth. He drove on, passing a couple of miners heading down. But as he inched up the ramp he felt a wave hit his truck, “like when there is a dynamite explosion.” Glancing back, it was as if he were looking down the heart of an erupting volcano. He rushed up the endless, sharp turns of the corkscrewing mine and finally made it to the surface. He, at least, was safe. But when he described the sound and dust cloud to his bosses, no one listened. Someone told Villegas to drive back down, into the mine. This time he could only go so far. Some 1,200 feet down there was no longer a road, and all around him he could hear the sounds of groaning rock. He turned around and sped up, out of the darkness. Something was very wrong in the San José Mine. Six men trained to handle mine emergencies retraced the route of Villegas’s truck, daring to go down to see what had happened, to find whoever was trapped in the mine. The exhausted rescue crew returned … alone. So began one part of a story that captured the attention of the world—bringing together everyone, from experts on outer space to drill bit manufacturers from Pennsylvania, from nutritionists to camera crews. But the real story started millions of years earlier. 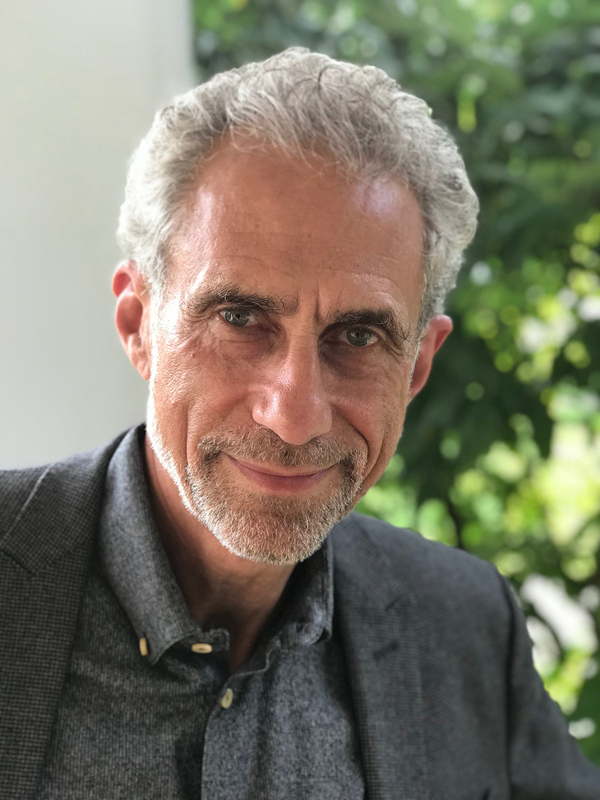 Marc Aronson is the acclaimed author of Trapped: How the World Rescued 33 Miners from 2,000 Feet Below the Chilean Desert, which earned four starred reviews. He is also the author of Sir Walter Ralegh and the Quest for El Dorado, winner of the ALA’s first Robert L. Sibert Award for nonfiction and the Boston Globe–Horn Book Award. He has won the LMP award for editing and has a PhD in American history from NYU. Marc is a member of the full-time faculty in the graduate program of the Rutgers School of Communication and Information. He lives in Maplewood, New Jersey, with his wife, Marina Budhos, and sons. You can visit him online at MarcAronson.com.